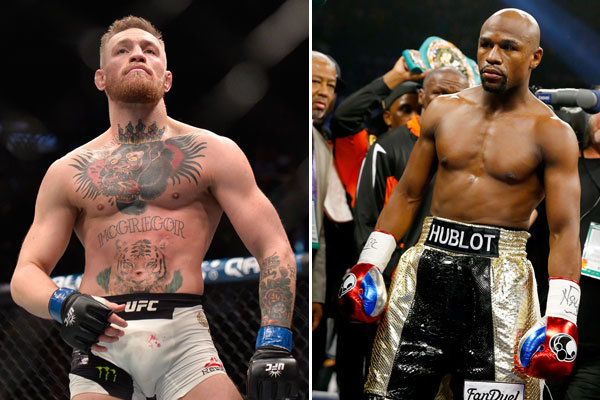 A potential Floyd Mayweather-Conor McGregor fight is very close to becoming a reality. Mayweather has told ESPN’s Stephen A. Smith that “we’re getting very, very close” to the superfight. Basically it’s the easiest cash grab of Mayweather’s career. Nevada State Athletic Commission chairman Anthony Marnell has been made aware of active negotiations between the two camps. “There is a lot of real stuff going on,” Marnell said Tuesday. “It still seems like a long shot, but when there is a lot of money involved, people tend to figure it out. There are a lot of cooks in the kitchen, but I’m not sure if we’re going to eat. McGregor has demanded $100 million for the fight and said he’d be willing to do it with or without the UFC’s involvement. In fact, it’s being said that the only thing currently holding up the announcement of the fight is a “third party,” speculated to be the UFC’s Dana White, who will have to be satisfactorily cut-in on the deal otherwise litigation would surely ensue. So as of now, all signs are pointing towards this thing actually happening. Stay tuned!